Join this fun bike-run for a cause. The much-anticipated annual Fun Run organized by Sun Life Financial Philippines will soon cater to both running and cycling enthusiasts. Since it has evolved, this two-fold event is now dubbed Sunpiology Duo. 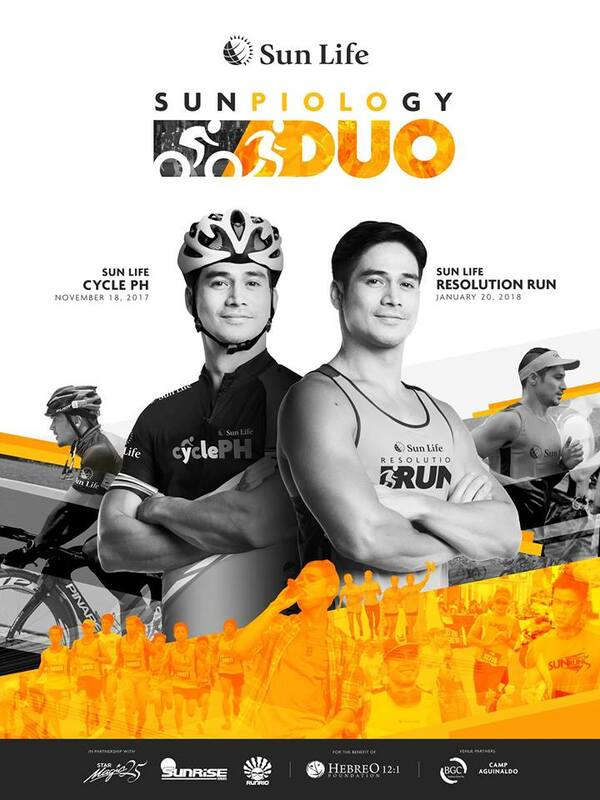 #SunpiologyDUO will happen in two parts: Sun Life Cycle PH @BGC and Sun Life Resolution Run. Sun Life Cycle PH will happen on November 18, 2017 at the Bonifacio Global City (BGC) in Taguig, Philippines. 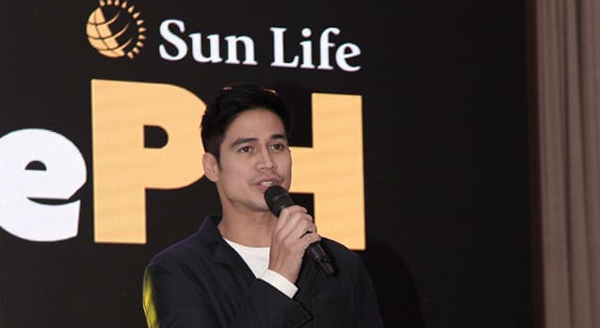 Sun Life will be mounting the event in partnership with Sunrise Events, Inc., which is known for its flagship projects that focus on race organization and sports tourism. The contract signing between the two companies was held recently in Shangri-La Mactan in Cebu, with Sun Life CEO and Country Head Riza Mantaring, Sun Life brand ambassador Piolo Pascual, Sunrise Founder Wilfred Uytengsu, and Sunrise General Manager Princess Galura in attendance. Piolo Pascual for the Sunpiology Duo event launch. The 7th category is a charity category called Bid2Bike, which will let the fans of Piolo Pascual, Matteo Guidicelli, Inigo Pascual, Gerald Anderson, and other Star Magic celebrities bid for a chance to bike alongside their idols, have an exclusive photo souvenir, and have their jersey signed. For cycling enthusiasts, they can bid to ride with legend Robbie McEwen. The Sun Life Resolution Run, meanwhile, is set to happen on January 20, 2018. As with previous years, Sun Life will once again mount the event with Run Rio and will offer 3k, 5k, and 10k categories. It features an obstacle course that illustrates the steps to prevent diabetes, like watching what you eat and why exercise is important. More details will be revealed in the coming months, which includes an expanded payment facility like PayPal and DragonPay. Sunpiology Duo – a two-fold event happening soon. 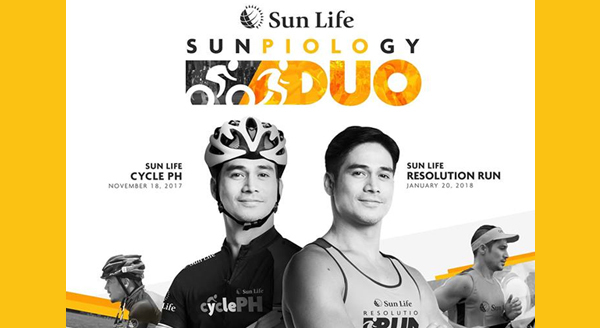 While promoting physical fitness, Sunpiology Duo will retain its charitable components. It will continue to raise funds for the different causes it has been supporting for the past seven years. These include the education of scholars from Hebreo 12:1 Foundation and Star Magic’s chosen charities. Moreover, Sunpiology Duo will continue to be a star-studded happening with the expected participation of Star Magic celebrities as well as ambassadors of Sun Life’s wellness community called GoWell. Note: For updates on Sunpiology Duo, follow @sunlifeph on Facebook, Instragram, and Twitter. Visit www.sunpiology.com for registration details.